Unique Great Dane Mailbox $165 The Great Dane mailbox can be ordered a variety of painting options.. solid color ,, custom from picture, Harlequin ( similar to the one shown below) .... etc ! 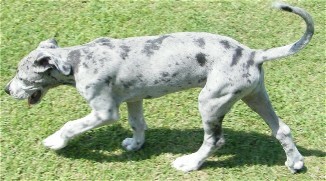 Great for Great Dane Breeders or Owners ! 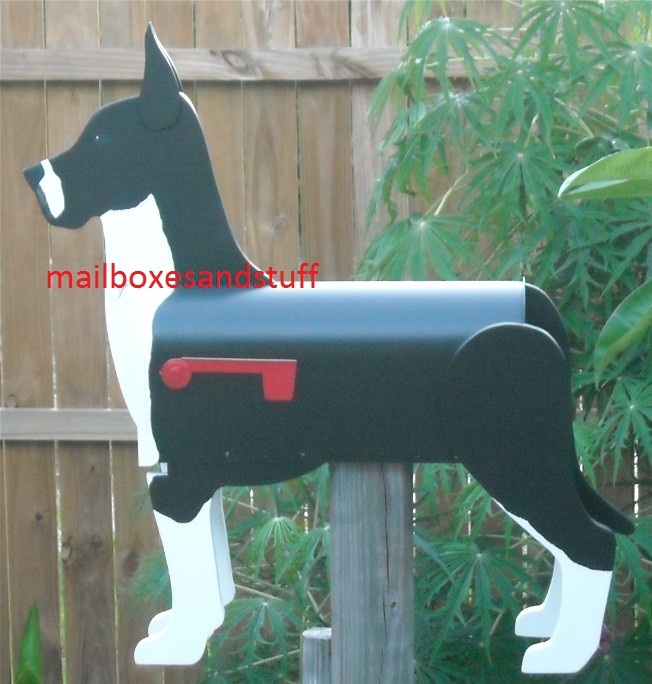 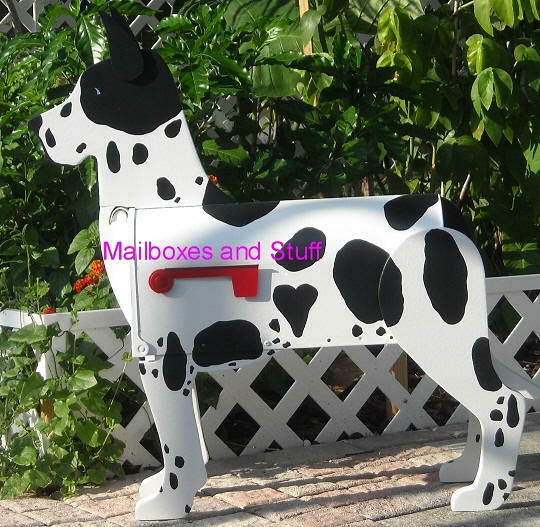 Your Mailbox can act as a Guard Dog Warning TOO! 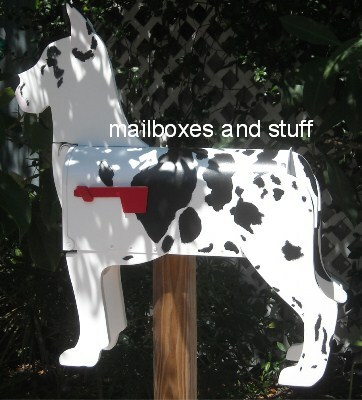 AND you can select cropped or natural ears! 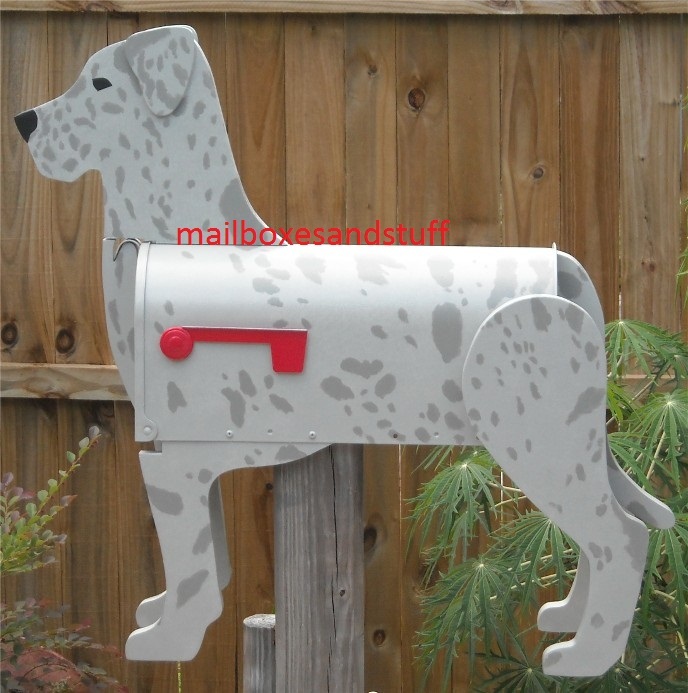 We can Custom Paint it LIKE your DOG !